Today marks the official beta launch of our new platform, and we can’t wait for you to try it out! 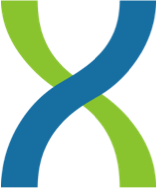 As our current users know, DNAnexus focuses on massively parallel, cloud-based solutions for analyzing, managing, and storing genomic data. With this beta launch of our new platform, we have a host of exciting new features and capabilities to tell you about. The new DNAnexus has been developed with the expert analyst or bioinformatician in mind (our existing offering will now be known as DNAnexus Classic). The new DNAnexus is a secure and extensible genomics data analysis and collaboration environment designed to meet IT and compliance requirements, built for the bioinformatician in research or the clinic. If you are a bioinformatician who would like to dig into the technical side of genomics data analysis and you’re dealing with large amounts of sequence data, then this platform is for you. It is configurable, provides an ever-expanding genomics toolbox, and allows instant and secure data analysis and collaboration. Take advantage of a fully configurable and scriptable infrastructure through the command-line and documented APIs, SDK, and web browser. Leverage Amazon Web Services for scalable, cost-effective computing and data storage. Get started immediately by leveraging a genomics toolbox rich in industry-recognized analysis tools and datasets. Create your own custom analysis tools, filters, and workflows to run and distribute in the cloud. Visualize your genomic data via an integrated, HTML5-based genome browser. Securely share genomics data, analysis tools, and workflows. Take advantage of a system that has enterprise-grade security and has been designed for people in drug, device, or diagnostics development, as well as CLIA labs and clinical environments. Of course, the best way to see what the new DNAnexus has to offer is by test driving it yourself. Today, we officially kick off the beta for the new DNAnexus. During this beta users may upload and analyze as much as 1 Tbyte of sequence data (which is more than enough to store and process one whole genome), create and tune workflows, check out the many available analysis tools and data sets, and much more. To sign up and create your free beta account, simply enter your email address here and we’ll contact you with details on how to get started.